"Nori seaweed was something we ate in Japanese dishes, never in a sandwich.... I went home and said to my mother, "Nobody puts seaweed in a sandwich!" 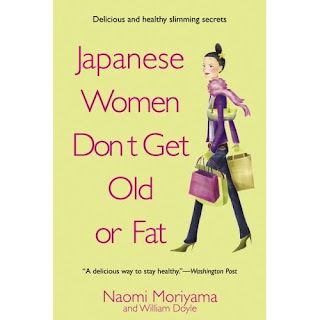 About the authors: "Naomi Moriyama was born and raised in Tokyo and spent childhood summers on her grandparents' hillside farem in the Japanese countryside, eating tangerines from the trees and fresh vegetables from the family garden....Naomi lives in Manhattan with her husband and co-author William Doyle and travels to her mother's Tokyo kitchen several times a year." From the Delta Trade Paperback Edition, published by Bantam Dell. The tricking of Freya involves a Wild Sheep Chase (a la Haruki Murakami) to Iceland - the land of elves, Norse gods, lava rocks, black sand, glaciers, and thick-furred Icelandic sheep. Freya normally lives in Connecticut with her mother Anna and only travels every summer to the small New Iceland community in Manitoba, Canada where her aunt and grandmother live. Freya is intrigued by her temperamental aunt Birdie, an aspiring poet who has manic highs and lows. In her good moods, Birdie teaches Freya the complex grammar of the Icelandic language and its folklore. Following that first trip to Iceland with Birdie, a disastrous summer trip that seemed like a wild goose chase, Freya visits Iceland again many years later after Birdie's death, this time alone and to find answers about the past, the identity of a mysterious relative, and about the biggest trick of all that has been ongoing over the years. Comments: The rich array of fictional characters created in the Icelandic community in Canada and in the homeland - from traditional to progressive to manic personalities - makes this an engrossing story, expertly told. I came away with a better understanding of Icelandic culture, the land and language, and the history of Icelandic immigration to Canada beginning in the 1870s. In the book, Iceland is described as having the highest literacy rate of any European country and as a place that values its history and poetry, and the mythology of its Norse gods. A saying I particularly liked was: Blindur er boklaus madur - blind is the bookless man. The setting is an important part of the appeal of the novel. I was first attracted by the title and the cover, and borrowed the book twice from the library, finishing it in just a few days the second time. 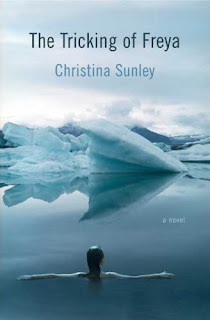 To see the interview I did later with the author, click here for Interview with Christina Sunley. Hope your spirits will be bright this holiday season! Happy Holidays, everyone! 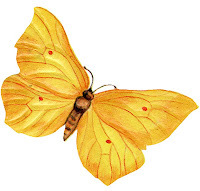 And may butterflies always frequent your garden! I have my holiday reading cut out for me. Another book in the mail to add to the list. In addition, there are about four half-finished books that I also plan to finish, hell or high water, as the saying goes. I actually am enjoying them, not at all gritting my teeth while I read. They're interesting books; I'm just a Book Dilettante. 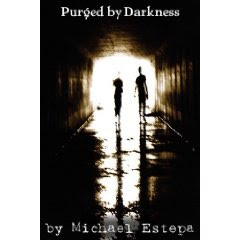 Purged by Darkness is a fictional account of gang life and the toll it takes on members, their families, and friends. Michael Estepa of Australia wrote the book based on his own experiences and based on extensive research on one type of gang organization, the Triads in Australia. In the gang lifestyle, honour and loyalty is what is expected of you. Fear, death and betrayal is what often follows. In this world, no one wins and all those involved, often find themselves in too deep to ever get out. The story revolves around six friends, as it follows their journey inside the organised crime syndicate, known as the Triads. With their love for each other and their loyalties not far behind, it is this same quality that will push their friendship beyond all limits. For this group of friends, it is all they have. Love is what keeps them together, but will it be enough to survive in a world where bullets speak louder than words and death awaits them at every turn? Those who are interested in organized crime will find in this new novel a revealing look at life on the inside, with its perils and far reaching consequences. Thanks to author Michael Estepa for a review copy of this book, published 2009. My comments: By lucky chance, I found this 1991 novel in a library book sale. It's an excellent mystery for several reasons: the location, use of history, and the characters and basic plot. If location is everything, then the Cliff Walk bordering the Newport, R.I. mansions, the mansions themselves built by the "robber barons," and the historic sailing town of Newport make it worthwhile. Add information on sumo wrestling culture, geisha culture, and the history of the first U.S. consulate to Japan opened by Townsend Harris in 1854 for a very interesting read. The book is a poignant love story as well as a well crafted mystery. Plot: The plot is based on the tragic story of the geisha Okichi (made famous as Madama Butterfly in Puccini's opera) and U.S. consul to Japan, Townsend Harris. I was fascinated by the historical background, Japan Times online, Sept. 8, 2009. "March 31, 1854, marked the end of some 200 years of Japan's "sakoku" isolation under the Tokugawa shogunate, when Japan signed a treaty with U.S. Navy Commodore Matthew C. Perry. The agreement set the stage for Washington to open trade negotiations with the shogunate, and also secure ports for American ships to rest and replenish supplies. The first chief of mission was Townsend Harris, who presented his credentials to Emperor Meiji on Nov. 5, 1859, according to the U.S. Department of State. Harris, named a minister resident, opened the first U.S. Consulate at Gyokusenji Temple in Shimoda in today's Shizuoka Prefecture. The mission was later relocated to Zenfukuji Temple in Azabu, Tokyo." "Nowadays Shimoda stages an annual "Carnival of the Black Ships" celebrating the U.S. opening of Japan to the West, and an actress assumes the honored role of Okichi." From Time Magazine online, 1956. The mystery uses these historical facts, figures, and cultural events as its background. Synopsis: In the novel, the main character Charlotte Graham, an Oscar-winning actress and amateur sleuth who once played the role of Madama Butterfly, is invited to a festival in Newport honoring the arrival of the U.S.'s Black Ships to Japan, and honoring the person on whom the Madame Butterfly story is based - the geisha Okichi, the companion of consul Townsend Harris in Japan, and their fictional descendants. Two murders that seem to be related to Okichi and Townsend Harris' descendants occur during this Newport festival. 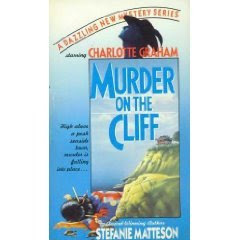 Charlotte tries to put the pieces of the puzzle together, helping the local police to investigate, interviewing possible witnesses including the sumo wrestlers invited to the festival, and visiting the scene of both crimes. One half-read book finished and four or five more to go, before the end of the year, I hope. Publisher's description of Killer Keepsakes: "Gretchen is steadfastly dependable, so it seems odd when she doesn't show up for work one day. Surprise soon turns to alarm when a ... body is found in Gretchen's house and Gretchen is named the prime suspect in the case." My comments: This light mystery with amateur sleuth and antiques appraiser Josie Prescott could use some romance or more information about the antiques industry to add to the interest. I liked her earlier books in the series. One was Deadly Appraisal. In this cozy, Josie is challenged at a guild fund-raiser to solve a crime. A guild member Maisy Gaylor is poisoned at the event. The mystery deepens when a valuable "Birds and Flowers" tureen is also stolen. Josie has to find answers to all the puzzles in this mystery. These are just two of the great books I found recently at the library. I feel like a book dilettante - starting several books at the same time and not finishing them. I have at least five books that I have started and have every intention of finishing. I just can't decide which to tackle first, and I may start new ones instead. That is the sure sign of a dilettante. As a result, I've decided to change the name of my blog, from Book Bird Dog to Book Dilettante! Hope you stay with me! Pre-New Year's resolution: Finish the mysteries first, then tackle the others for the two literary challenges I have going. Then start new books for the Thriller and Suspense Reading Challenge that begins Jan 1. Hope that I can keep to this rather reasonable resolution. Scholar - Four to six books Literati - Over six books. Started by Aatri of Book Lust, sign up at Flashback Challenge.I found the challenge at mel u's blog, Rereading Lives. This gives me an incentive to re-read a book I have wanted to look at again, When We Were Orphans: A Novel by Kazuo Ishiguro. Set in England and Shanghai during the 1930s, it's about a young English detective with a faulty memory who returns to wartime Shanghai in 1937 to find his parents who had disappeared there years ago when he was about nine years old. As he is an unreliable narrator, readers have to figure out the puzzle of his past and become detectives themselves to decide what is fact and what is fiction. Christopher meets a Japanese soldier in Shanghai who may or may not be his playmate from years ago. How Christopher reacts or doesn't react to him and to Shanghai during the Japanese occupation is part of his strange, delusional persona. This book intrigued me so much, I want to try again to get the hard facts about Christopher's past, which may not be possible, given his confused and inaccurate memory. Ishiguro, born in Nagasaki, Japan and now living in London, is also author of The Remains of the Day, a Booker Prize-winning novel made into the award winning film with Anthony Hopkins. Update: My number two book for this challenge will be Out by Natsuo Kirino, 2003. My memory of the book was jogged by the excellent review posted by mel u on his blog. 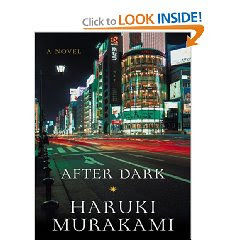 I decided to reprint this review I did in 2007 of Haruki Murakami's 12th novel, After Dark for the Japanese Literature Challenge 3 hosted by Dolce Bellezza, which ends the end of January 2010. Synopsis: The novel begins just before midnight in Tokyo and ends just before 7 a.m. The focus is Tokyo in the dead of night, after the trains have stopped running and the only public transportation out of the city is by cab. Comments: The novel only hints at the reason for Eri Asi's withdrawal. There is a suggestion that it involves the sinister office worker Shirakawa, whom Mari is unaware of though their paths overlap during the night in the city. The novel has many levels of meaning. Murakami reveals the flip side of the city, after dark, at times with humor. The city at night also reveals the dark aspect of some of the characters he explores. However, Mari and the musician walk about the city and among these people, but remain unscathed. Submitted also for the Lost in Translation Reading Challenge. 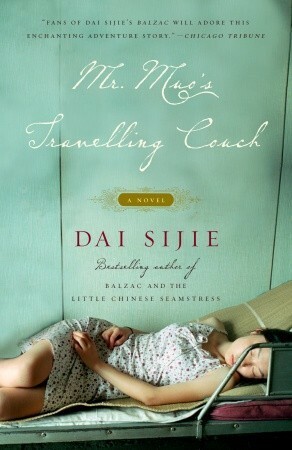 Mr. Muo's Traveling Couch by Dai Sijie, 2005. Publisher's description: "Dai Sijie gives us a delightful new tale of East meets West, an adventure both wry and uplifting about a love of dreams and the dream of love, and the power of reading to sustain and inspire the spirit." In this imaginative novel, Mr. Muo tries to free his girlfriend being held a political prisoner in China, but is told by the local magistrate there that he must find a virgin in exchange for clemency. The book follows Mr. Muo's adventures through China on his quest for the right girl. Dai Sijie, a Chinese-born filmmaker and writer, has lived in France since 1984. He also wrote the best-selling novel, Balzac and the Little Chinese Seamstress. I hope to submit this book to two challenges: The China Challenge and Lost in Translation Challenge. In modern China, two people wait over seventeen years for each other to have a change of heart that would profoundly affect their lives. 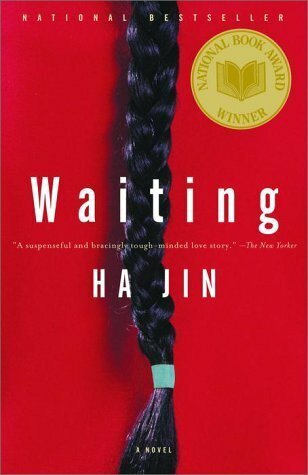 ... Ha Jin vividly conjures the texture of daily life in a place where the demands of human longing must contend with the weight of centuries of custom. " My comments: Lin's anguish in wanting a divorce so he can marry the woman of his choice is balanced by the long-suffering patience of the wife he left behind, Shuyu. 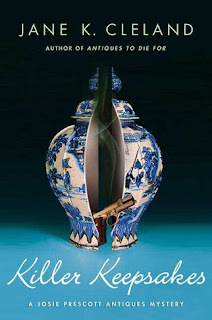 A very worthwhile novel about a clash of the new and the old in a new China that changed only in some aspects. 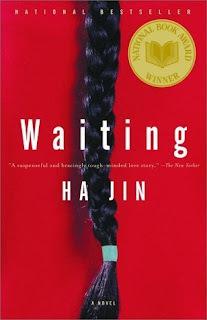 The book was first printed in 1999 by writer Ha Jin and was a National Book Award finalist. Ha Jin decided after the Tiananmen Square incident in 1989 to remain in the U.S. I pulled this book from my personal library to review for Jen's China Challenge over at Biblio File. An award winning writer, Ha Jin is now a professor of English at Boston University. His other well known book is A Free Life. 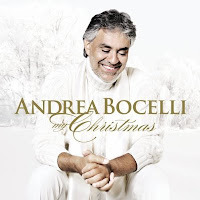 I watched tenor Andrea Bocelli's Christmas special on TV the other night and liked it so much, I went out and bought the CD, Andrea Bocelli: My Christmas for two family members and myself. Loved "Blue Christmas" sung with country singer Reba McIntyre, "Chestnuts Roasting on an Open Fire" (opening lines) with Natalie Cole, and his "Jingle Bells" accompanied by the Muppets. The highlight of the album was the Lord's Prayer with the Mormon Tabernacle Choir, in English. I missed the "Ave Maria" however, which Bocelli sang on the Christmas show. That prayer is on the two-disc version of the album, along with more holiday songs, and is not included on the single CD that I bought. Too bad. Bocelli sang in five languages - English, French, German, Italian, and Latin. A few of the songs were standard renditions of popular Christmas music, but most were interpreted in Bocelli's own style.